Nigerian politician and current Governor of Katsina State, Aminu Bello Masari, who was the speaker of the Nigerian House of Representatives between 2003 and 2007, has demoted a school principal and head teacher. Gov. Aminu Masari of Katsina State, has ordered the immediate demotion of Malam Nuradeen Abubakar, the Principal, Unity Junior Secondary School, Malumfashi and Malam Yakub Ibrahim, Head Teacher, Rimaye Model Primary School, Kankia. Alhaji Abdu Labaran, the Senior Special Assistant on Media to the governor, made this known in a statement issued on Wednesday in Katsina. 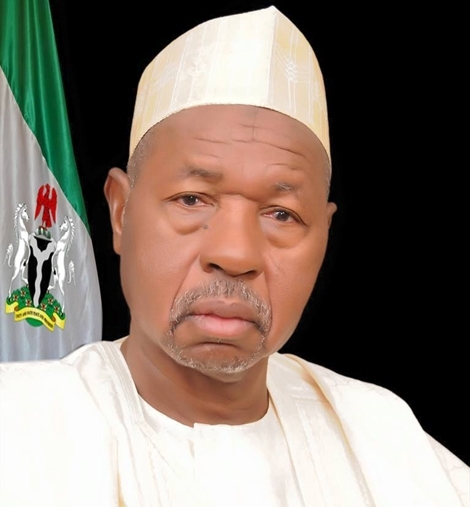 Masari directed that the duo should be redeployed as classroom teachers. He also warned the Principal of the senior section of the Unity Secondary School Malumfashi, Malam Nasiru Muazu, to-sit up and face his responsibility with more commitments. According to Masari, the decisions were based on the poor condition of the schools when he paid an unscheduled visit recently. “The schools which are undergoing rehabilitation had some of the renovated sections looking very dirty and unkempt due to neglect by both teachers and students. “Indeed, a part of the wall surrounding the Malumfashi Unity Secondary School, which was recently rebuild was broken down to create an illegal entrance. The governor said the measure was to send a warning signal to others, for them to sit-up or face similar or punishment. Masari also ordered that all retired secondary school teachers still living in the schools staff quarters to vacate the houses with immediate effect. He said that the government does not owe gratuity to any retired teacher in the state, warning that anyone who refused to vacate the official residence would be ejected unceremoniously. “Katsina State Government is not indebted to any retired teacher as everyone has been paid his/her gratuity’’.